Stress is one of the top health concerns of the modern age. It can not only exacerbate certain health condition, it can even cause them. And, in many cases, chronic stress can be deadly. For years, the medical establishment has sought to treat stress through man-made medications designed to help ease anxieties, relieve depression, and soothe muscle tension. These drugs, however, come with a litany of other problematic side effects, many of which can be just as detrimental to one’s health as the stress it’s aimed at helping. At Southeastern Healthcare, our Wilmington NC chiropractor uses chiropractic treatments as a valid and proven way to relieve stress without relying harsh chemicals and toxic ingredients found in most prescription drugs. Here are some of the ways chiropractic treatments can help improve your stress relief. One of the most common symptoms of chronic stress is extreme muscle tension and contraction over a prolonged period of time. Eventually, the muscle tension causes uneven pressure being applied to the body’s bony structures. This often results in the spinal column becoming misaligned. The problem is that as long as the spine is out of alignment, the muscle tension will remain or even worsen because the muscles have to compensate for the spine’s loss of flexibility. 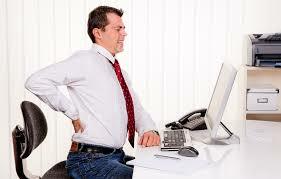 Another problem caused by chronic stress is nerve irritation and this is also worsened when a spine is misaligned. Often in these cases, blood flow becomes restricted to certain areas, causing them to become inflamed and painful. Through the gentle manipulations of chiropractic treatments, a chiropractor can ease tension in the muscles, re-align the spinal column, and increase blood and oxygen flow to nerves. An aligned spine is one of the best natural deterrents to dealing with stress because it allows the muscles to remain supple and it promotes even blood and oxygen flow throughout the body. Along with being a holistic practitioner of spinal manipulation, your chiropractor is also trained in helping patients alleviate stress through a number of other means. Your chiropractor can teach you relaxation techniques that will help you reduce stress naturally. He or she will also help you improve your posture, which believe it or not, can have an impact on your body’s stress levels. They can even give you advice on which vitamins and supplements you can take to help combat environmental stressors. We live in a stressful world. There’s nothing you can do about that. But, there are natural ways to cope with stress other than relying on chemical-laden drugs. If you want to give your body its best protection against chronic stress, make an appointment with Southeastern Healthcare’s Wilmington NC chiropractor today. We are here for you. Our chiropractic team can help you ensure your body is aligned, relaxed, and capable of handling anything this crazy world throws at it. With six locations throughout the Wilmington area, we have an office conveniently close to you. Thousands of auto accidents occur every day. In fact, so many take place on America’s highways and byways that the odds of you being involved in at least one accident within your lifetime is so much higher than living an accident-free life. Adding insult to injury is the fact that so many accident-related injuries fail to present themselves until a days after the event. And, since most auto-related injuries involve the neck and back, they can be extremely painful and frustrating and affect everything from your ability to work to your overall quality of life. Regardless of whether or not your auto accident was substantial, you should be seen by a medical professional immediately afterward and then, once it has been determined that you haven’t suffered any broken bones, internal bleeding, or head trauma, a visit to an auto accident chiropractor WIlmington NC is recommended and here’s why. More times than not, auto accidents don’t involve traumatic injuries like broken bones. While these (and worse) types of injuries certainly can and do occur, by and large, soft tissue injuries tend to be the most common types of injuries associated with accidents. In fact, more than half of all whiplash cases occur in simple fender benders. As stated earlier, if you’re involved in an auto accident, then it is always wise to seek medical treatment right away at the scene if an ambulance is called or at your local emergency room so you can be cleared of (or treated for) any major, life-threatening injuries. This is important even if you don’t feel pain because your adrenaline will be pumping after the accident and adrenaline is the body’s natural way of protecting itself against pain and trauma. Keep in mind that it can take as long as a few days after the accident before the adrenaline “rush” starts to wear down. During this time, you may gradually start feeling pain in your back, neck, or other body part. But, you don’t have to feel pain to visit the chiropractor. In fact, even if you’re not yet feeling pain, you should still visit an auto accident chiropractor in Wilmington NC within two weeks after the accident if anything to get a second opinion and an alignment. How Can Chiropractic Care Help Auto Accident Victims? Unlike traditional medical doctors, chiropractors are trained to detect hidden injuries like herniated discs, strained tissues, and subluxations. And, they have the expertise and tests necessary for finding them, including orthopedic and neurological tests. These test help identify things like soft tissue damage, structural damage, loss of muscle strength, loss of range of motion, and joint and nerve function problems. With the combination of the above treatment methods, your auto accident chiropractor in Wilmington NC can provide you with the targeted care you need to make a return to full mobility and a pain-free life. If you were recently involved in an auto accident and you have already been assessed by medical professionals, take the time to see Southeastern Healthcare’s auto accident chiropractor Wilmington NC. We’ll provide you with a complete physical assessment and create a customized plan of care that will have you feeling better and healthier in no time. Call Southeastern Healthcare today at 910-202-4341 to schedule an appointment with one of our chiropractors. We are here for you. With six locations throughout the Wilmington area, we have an office conveniently close to you.